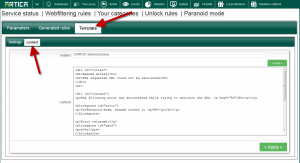 This feature is available with Artica v2.17.080501 or above. 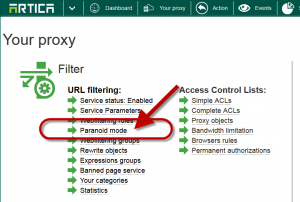 The paranoid mode is designed to reduce web error page processing caused by flooder clients. 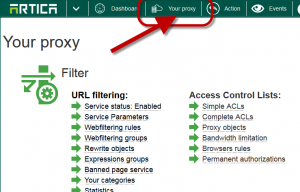 If a computer is infected by a malware that want to access to Internet or if a client use an application denied by a policy, background generated requests should consume proxy performance ( requests processing, web page error generation). 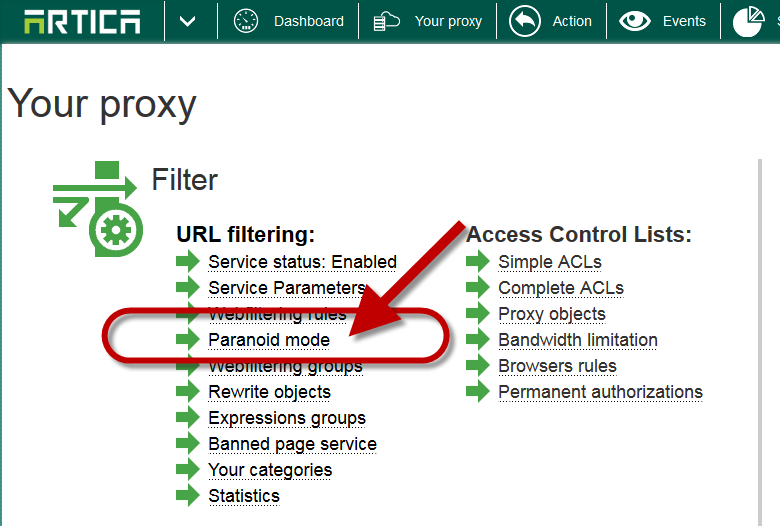 The paranoid mode is designed to deny client access to Internet or deny web sites using a static web error page without any processing. 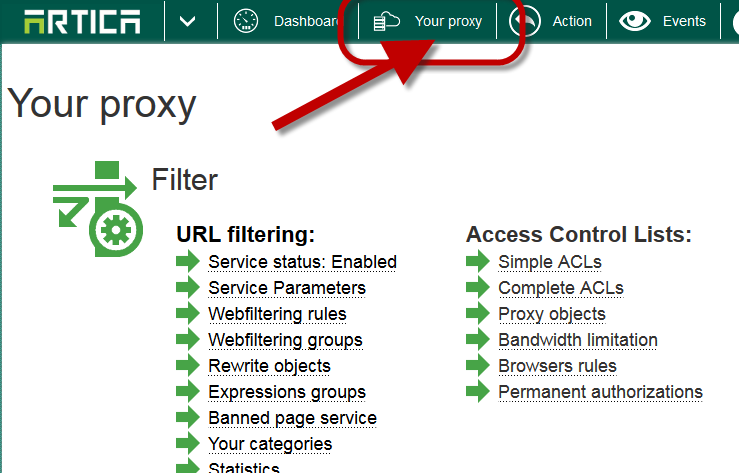 On the top menu, select your proxy. 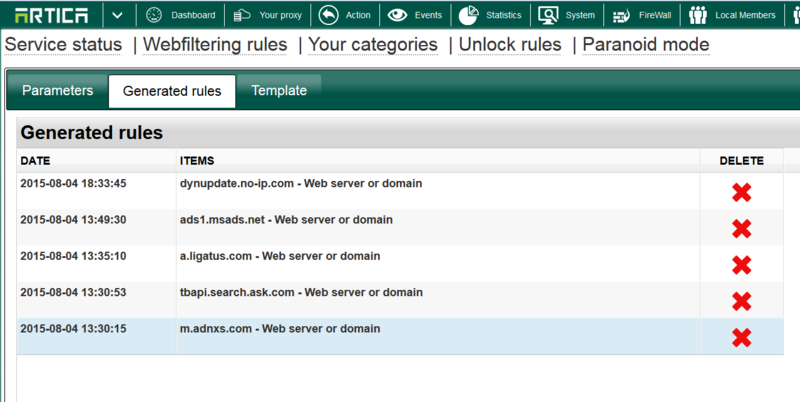 Events number to deny a website: During 24 hours, how many blocked events will auto-create the rule to deny the web site. Events number to deny a computer: During 24 hours, how many blocked events will auto-create the rule to deny the computer. Remove rules after: How many times an automated rule is available ( by default, rules are deleted after 24 hours). 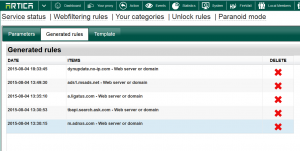 The generated rules section allows you to display websites and computers banned by the paranoid mode. When a request is denied by Paranoid mode the proxy display a static error page instead the Web filtering error page.